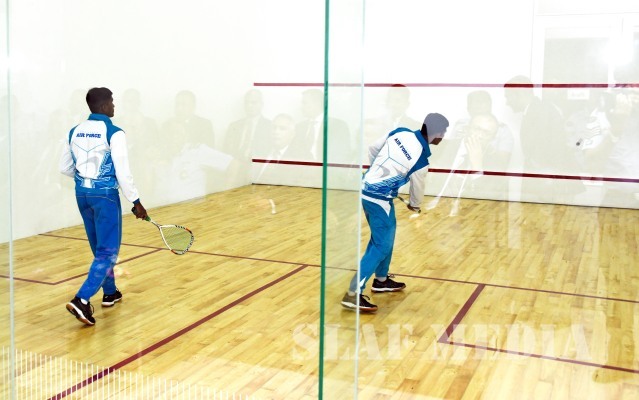 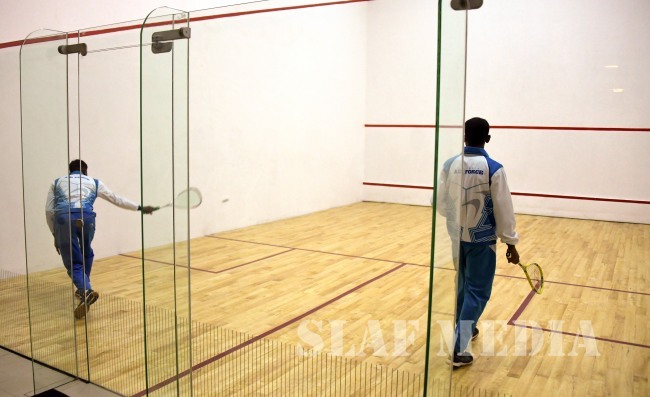 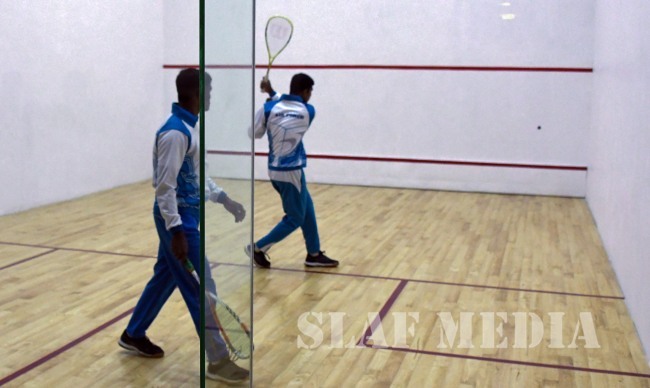 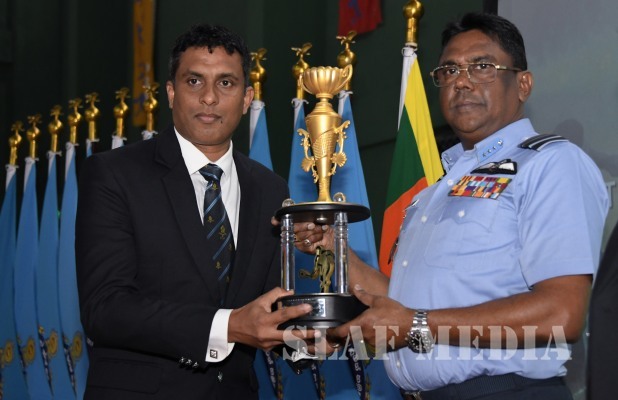 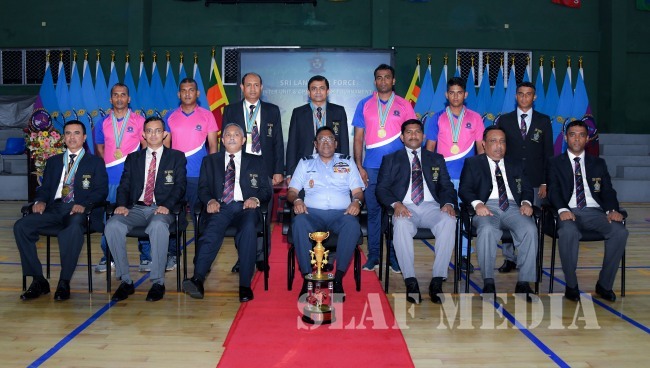 SLAF Station Colombo won the Inter Unit Squash Championship 2018 beating Tech Formations Team from SLAF Base Ratmalana at the Air Force Health Management Centre (HMC), Colombo yesterday (16th October 2018). 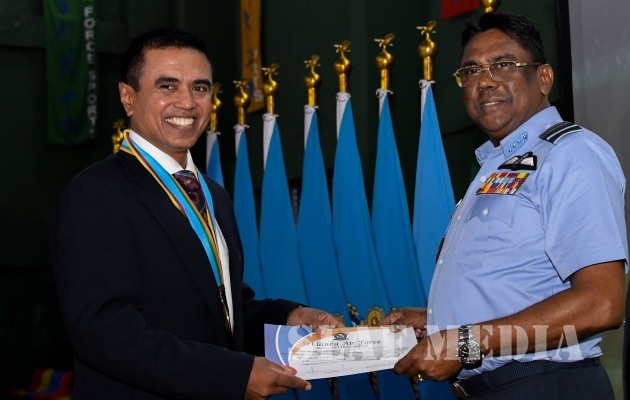 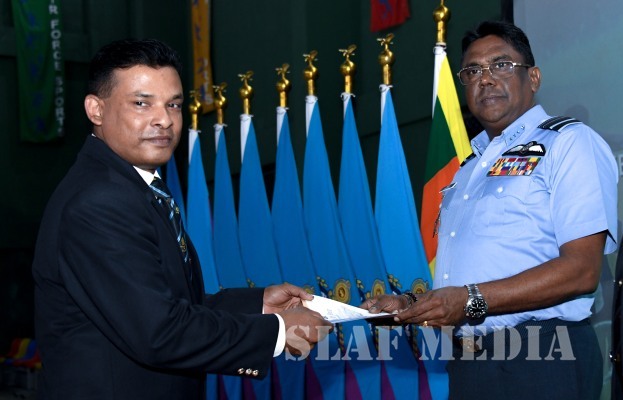 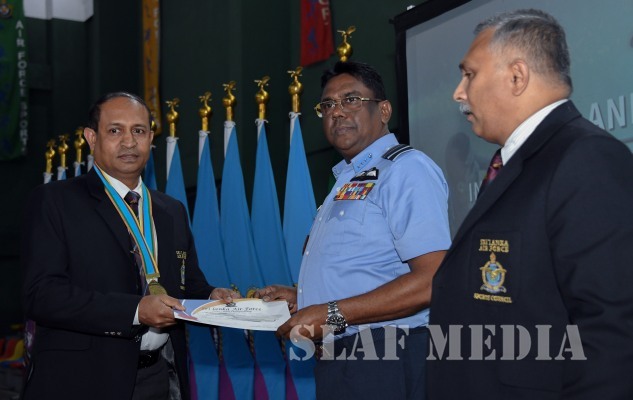 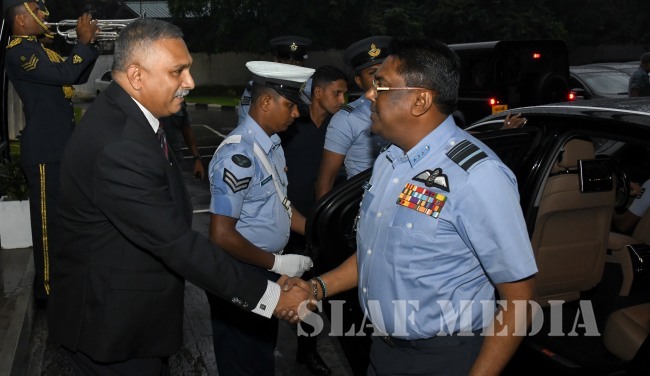 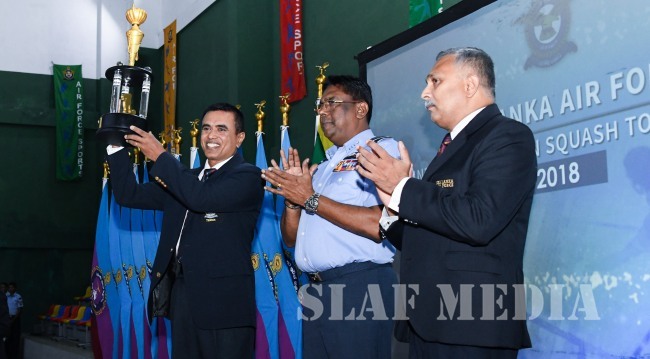 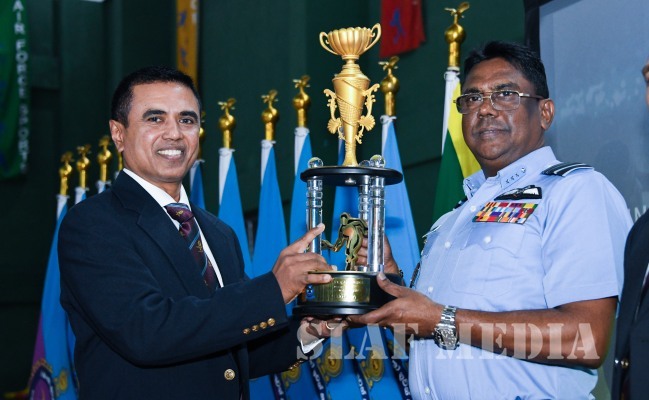 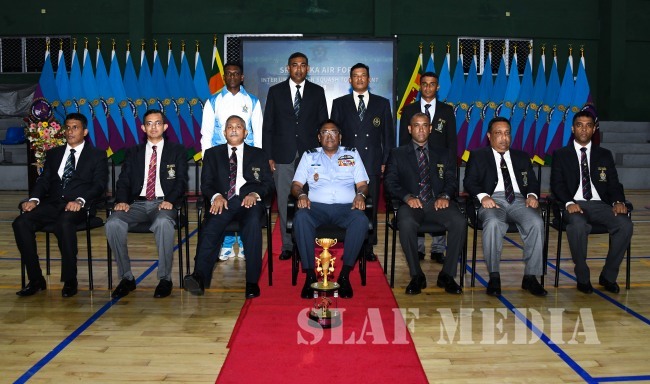 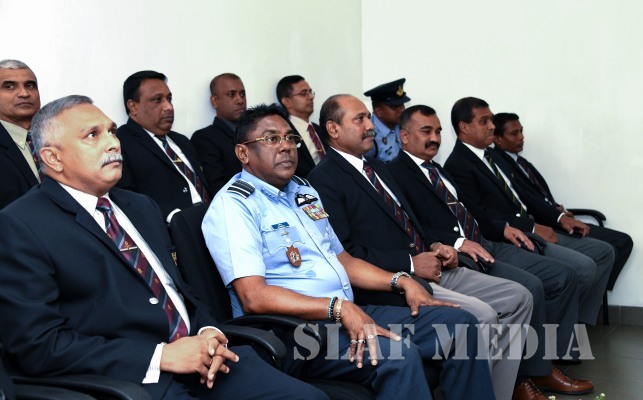 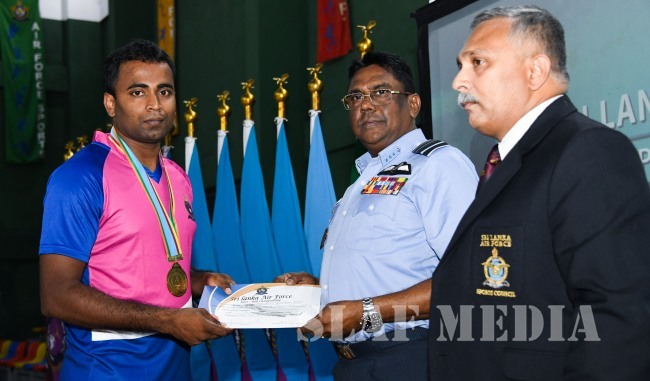 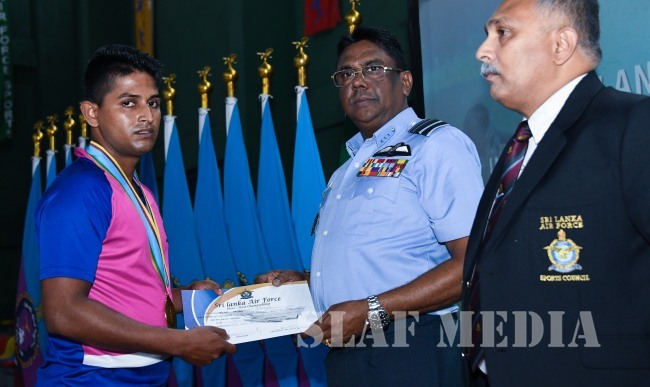 The Champion SLAF Station Colombo team consisted of Air Commodore RAUP Rajapaksha, Air Commodore SCK Pallewela, Group Captain DRW Jayawardane, Group Captain HU Wijeweera, Flight Sergeant Ekanayake, Corporal Viduranga, and Leading Aircraftman Gunaratna. 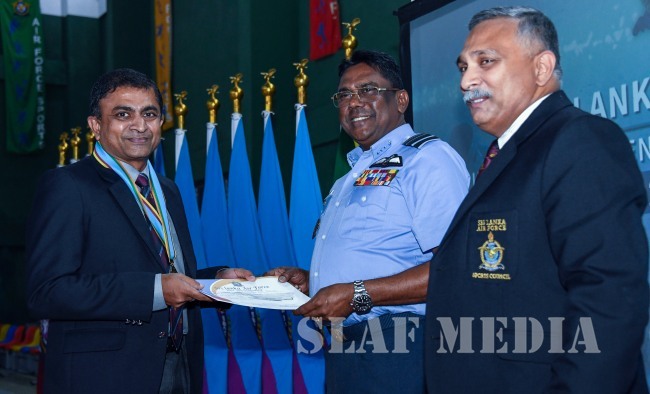 The Commander of the Air Force, Air Marshal Kapila Jayampathy graced the occasion as the Chief Guest. 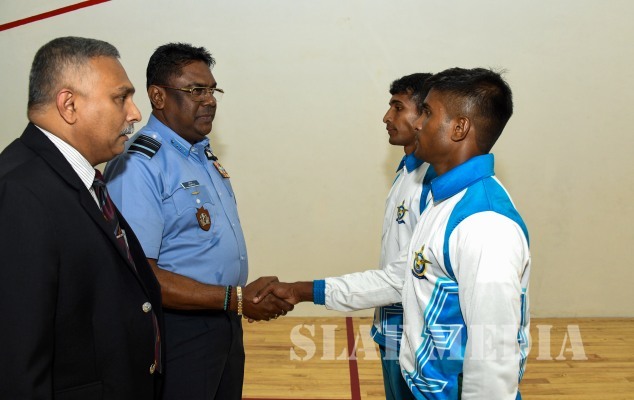 The Air Force Board of Management, Chairman SLAF Squash, Air Commodore SD Kotage, Officers and Other ranks were present at this event.